6. 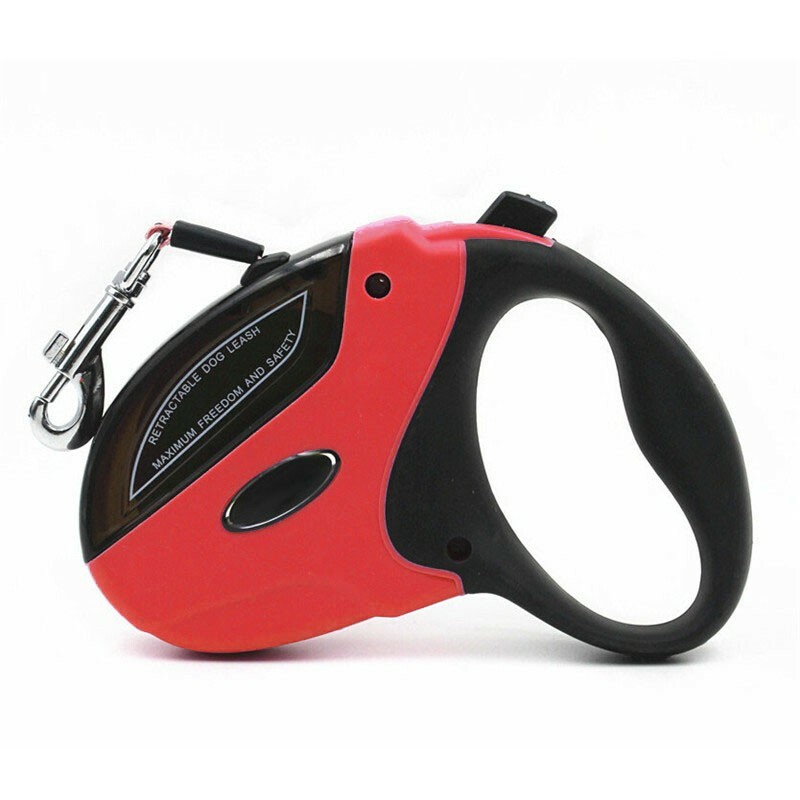 Retractable dog leash is suitable for all types of pets up to 111 lbs. We achieved high-end construction via hand-pick materials including BPA free ABS coating, nylon strap and non-rust zinc alloy hook that is at least 4 times stronger than normal design, ensuring great safety performance for walking. You can use our design for a long time and keep consistent control. Pets parents always want to be cool and unique during walking their pets in an open area. Using our design can make you stand out from normal leash controlled walking.One hand lock,release and recoil control via only one button is very stylish and that will be easier for you to change a suitable length for your and your pets. Anti-slip handle fits your hands well and can keep moist away from your hands. Your pets will feel no more limited under the help of 360 degree tangle-free design. Silent action can make pets who use retractable design for the first time feel comfortable. Normal leash is easy to break in winter, but our design is very suitable for winter dog walking. As all of our materials are specially designed and can work in extreme weather, the freezing temperatures will not impact the function of our design. No more worry about walking your precious pets in winter! Our design will still offer strong and consistent control for you! -Keep dog leash hardware away from fire and kids under 3 years old. 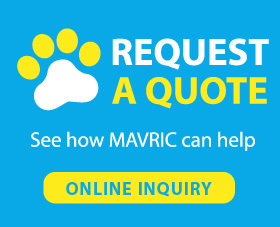 -Mavric, a professional pet products manufacturer, offers all kinds of fancy dog leashes and collars. 1 year warranty is offered by us. If you have any question about pets or products, please feel free to contact with us. The Second Thing You Need to Know about "How to teach a dog to walk on a leash"
Teach your pet an instruction. You need to introduce a sound to your pooch, which could be pet's name, a word like"Yep", a click or a cluck. Any sound will be ok, just let your pets feel the cue sounds like"food is coming" or "let's play together". And then you can use the instruction in a quiet area with you leashed puppy, and then make the sound. When you pets begin to look at you or turn to you, give the smart puppy a treat or play with the furry for a while. After a few times, your puppy will just run to you instead of looking at you after hear the sound. Great leash, very strong, durable, and comfortable. Perfect for our Great Pyrenees/ lab mix who likes to pull. Only downside is the leash can get stuck in the 360 sometimes. Still the best leash we've bought. Great leash for my 86lb guy. I ordered this leash for my 86lb fur baby about a month ago. It has a very sleek modern design and packaging. The leash has the flat cord all the way through the length rather than only just the first few feet. Retraction and clip button both work well. Good price too. Good leash for my 70 lbs Pit. A bit large for my liking, but I have very small hands. My husband LOVES the size and feel. 5 stars due to great, quality product and customer handling. Had a problem with my first one and seller was very quick to respond, and replace the product. Have not had any problems since, but feel confident that seller would handle just as graciously as before. Couldn't have asked for a better experience. This is the one - well worth the cost. I've owned several retractable leashes over the years, but this is easily the nicest one I've come across. Lets out and retracts smoothly, easy and comfortable to hold, and plenty long to let my pup roam without getting too far ahead. Highly recommended.